Works by Ukrainian enameller-miniaturist Volodymyr Vanin and small grotesque sculptures by Bogdan Andriitsev were selected by the committee of The Royal Society of Miniature Painters, Sculptors & Gravers (The Royal Society of Miniaturists, RMS, UK) and in October 2016 were exhibited at the annual exhibition of RMS in London. Miniatures by Volodymyr Vanin are selected by The Royal Society of Miniaturists for the second year, and this year he was granted by the associate membership of the RMS. 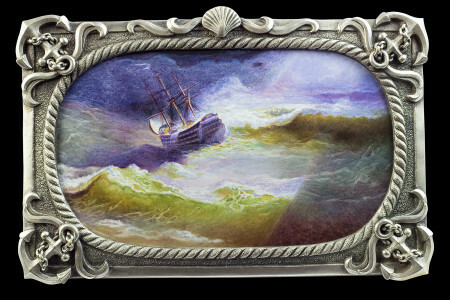 Masterfully executed by Vanin enamel miniature after the painting by Ivan Aivazovsky "The Mary Caught in a Storm", decorated with the original frame of Zigura Art Manufactory, was awarded by the jury of the honorable award — Gold Memorial Bowl Honourable Mention. However, important for enameller is not only that the quality of his rare miniature painting technique was awarded, but that the original work was presented. The enamel miniature "The Good Question about the Mountain" introduced to the London’s community of miniature lovers and collectors a “molfar” (magic) landscape with the misty sunrise in the Ukrainian Carpathians. The audience had the opportunity to ask itself a philosophical question and try to find the answer — is "mountain" in front of you, or it is "underfoot", are barriers outside or they are inside? As for the technique of execution, the greatest impression made in this miniature how different lighting highlights in her various layers of paint and able to revive it, sparking the dawn sun and the whole sky landscape. 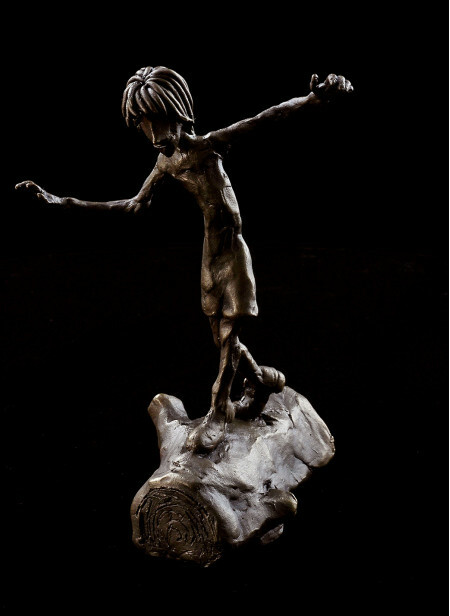 Small sculptures by Bogdan Andriitsev are original works embodied in bronze. They have a bizarre, grotesque forms and a deep storyline, cause living reflections of important meanings. 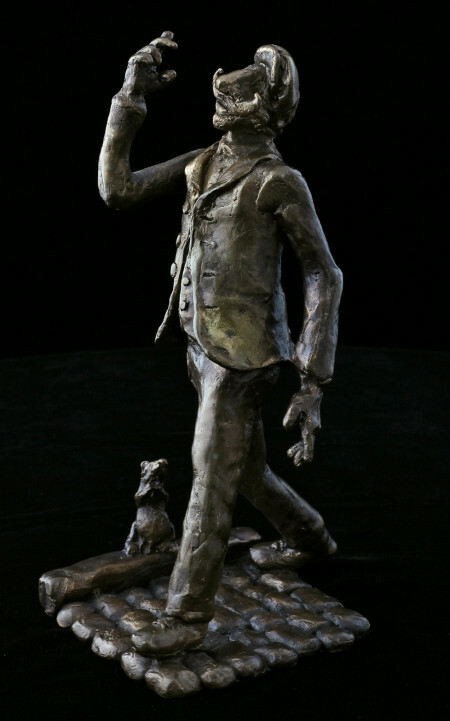 The sculptures, which were presented at the exhibition by The Royal Society of Miniaturists, are about the interaction between people, consequences of snobbery, courage like a child, and a way of the inspiration to live. The Royal Society of Miniature Painters, Sculptors & Gravers was founded in 1896 by Alyn Williams who was the first President. The Society's Inaugural Exhibition, held in 1896 in the Modern Gallery, was the first to be devoted exclusively to contemporary miniatures and was an immediate success. King Edward VII granted the Royal Charter in 1905. In 1926 the RMS extended its welcome to other forms of miniature art. Recognition of this wider scope was officially confirmed when Sculptors and Gravers were added to its name by Royal Command of King George V. The Society's Aims are to Esteem, Protect and Practise the traditional 16th Century art of miniature work, emphasizing the infinite patience needed for its fine techniques.